As I have mentioned too many times previously, I started taking photographs to illustrate this blog. Over the course of a few years, my photography has become a creative pursuit in its own right, while still being used to capture what I sometimes think of as open water swimming life. Unable to finance any big swim, I had hoped to at least swim some new locations in 2014. And visiting different locations often has the pleasant side effect of giving me new locations to photograph. 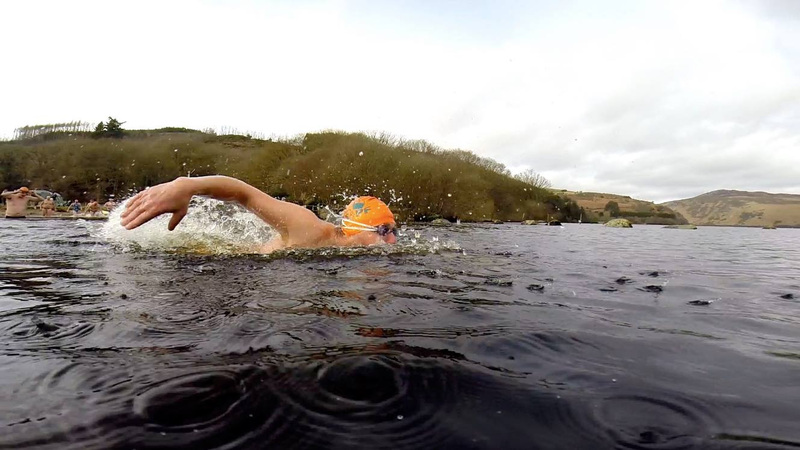 In February however I returned to Lough Dan’s peaty black waters in the Wicklow Mountains to complete open water swimming’s most stupid and most dangerous challenge, the Ice Mile. 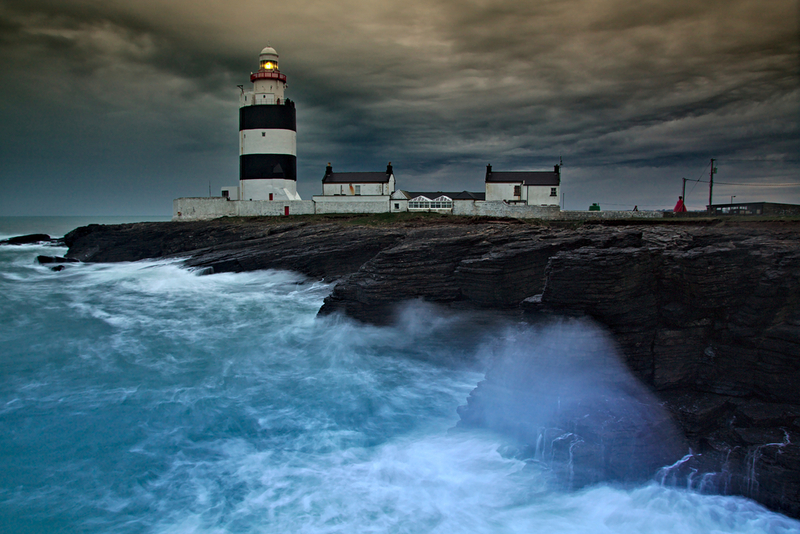 The 2013/2014 winter season saw the most prolonged battering of storms Ireland has suffered in a couple of generations, with huge Atlantic storms rolling through almost on a predictable nine-day schedule. The evening stretched and finally the Passage East ferry and the change to daylight savings time allowed an sunset visit to Hook Head, to which I return every year, and which allowed me to take a transformative (in personal skill terms) photograph of the iconic lighthouse. After a couple of regular months of weekend open water swimming when possible, with regular pool training, storms continued. 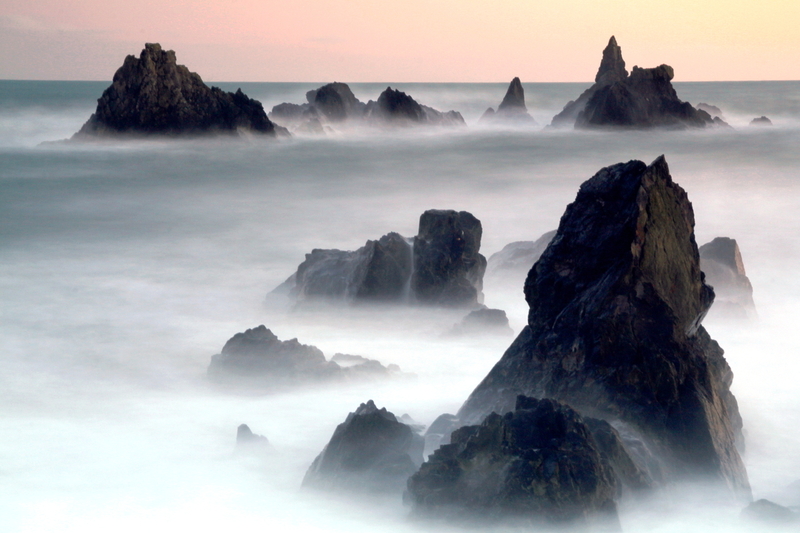 I made various trips shooting the Copper Coast right through the spring. Some paid off, one in particular resulting is one of my best photographs of 2014, (which required me to perch on a recent landslide above a storm sea at high tide). When I take pictures of the sea, those with which I am most happy, (or at least less unhappy), somehow seem to result in a title that seems inevitable in retrospect. I guess sometimes I almost manage to capture my own many diverse feelings about the sea. 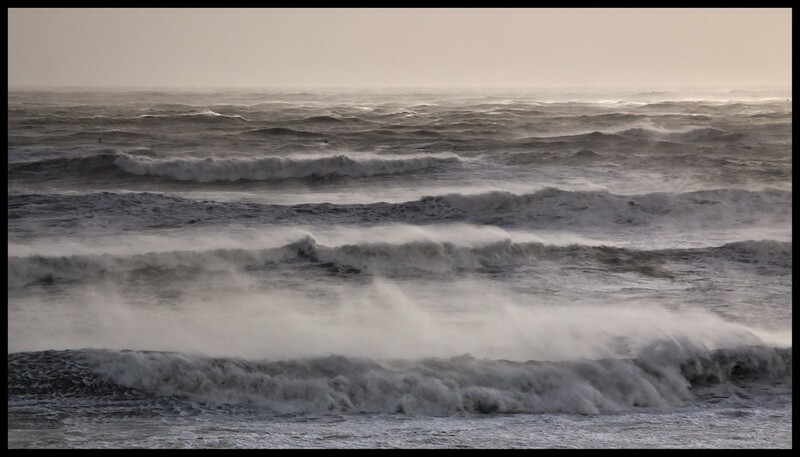 The storms did eventually finally pass and I kicked off the swimming again with a brief and risky swim in Kilmore Quay in May while the water was still cold, which got the open water season off to an interesting start. Please don’t swim there unless you are an expert open water swimmer. The white line of the dangerous rip of St. Patrick’s Causeway can be seen on the horizon, along with St. Patrick’s Rock in the distance and that weird tower thing. The further away I am, the thinner and muscular I seem! Returning from Kilmore Quay, we took a side trip to not-commonly-visited and rarely swum Bannow Bay (possibly a swim for 2015). 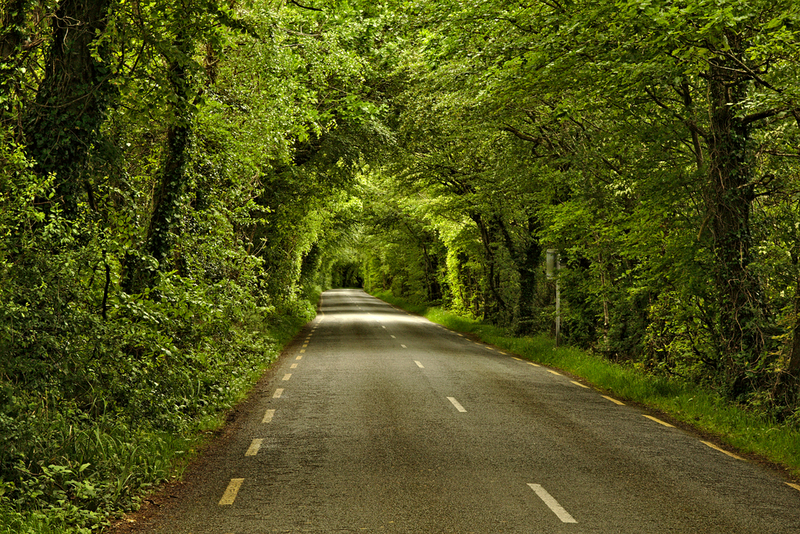 On the way home, we passed up the road by which the Normans invaded Ireland 900 years ago and where I casually shot what transpired to be one of my more popular photographs. (Though there may have been less tarmacadam and road markings back then). For the first race of the season and after always missing the swim previously, I finally raced the relatively near Martin Duggan Memorial Swim organised by my good friend The Fermoy Fish, Owen O’Keeffe. 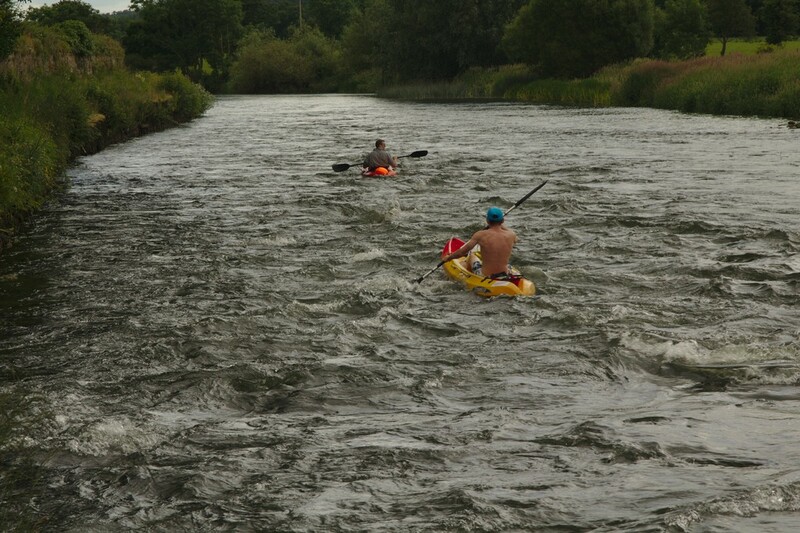 The race goes upstream in the river Blackwater from Fermoy before turning back with the flow. The first half of the swim therefore takes two thirds of the time. The water was still only about twelve degrees. I was ill that evening so I didn’t have a great result, swimming a slow mile, a good minute and half off the pace I should have swum. I had my first real Sandycove swim in early June, hardly a new location granted, with Channel Swimmers Finbarr Hedderman, Ciarán Byrne and Rob Bohane. I did an easy two hours while the boys swam a six hour training swim in twelve degree water. Back on the Copper Coast I swam the short Boatstrand to Kilmurrin route for the first time in a couple of years, to scout out some caves into which I haven’t yet swum. 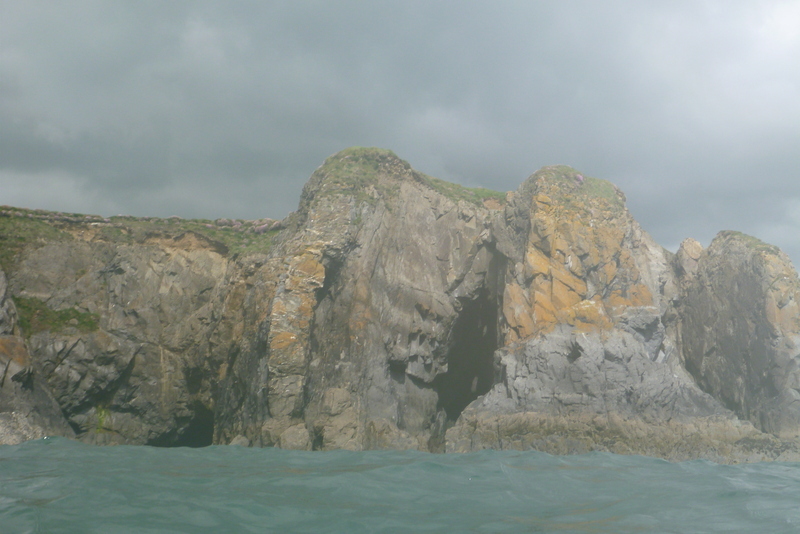 I usually say this swim should be avoided because it has some of the strongest currents on the Copper Coast. The combined problems of cold, water and prolonged immersion proves a challenge camera companies haven’t yet mastered! 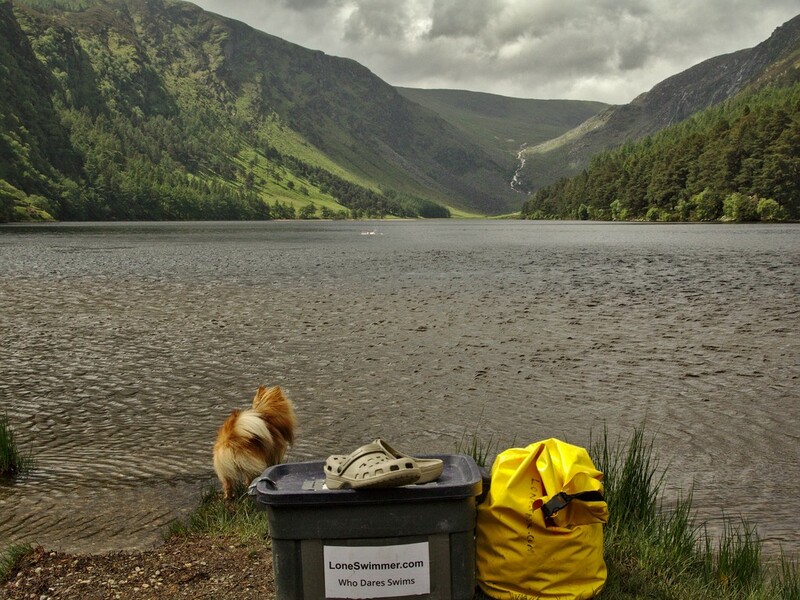 June was wet and we made a return trip to the Wicklow Mountains to swim the jewel of Glendalough’s Upper Lake, one of the countries most popular and scenic tourist destinations. We arrived with thunderstorms and torrential downpour. When I reached the far side of the lake the Sun briefly made an appearance. Scout the Doglet was as usual both enthusiastic and delighted to see me return, having as he does little confidence in my swimming ability. 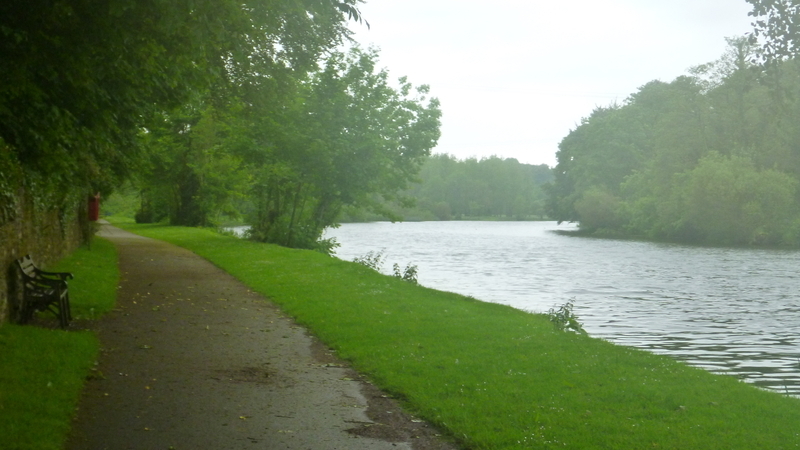 In June, trying to gauge the best time between a warming river and it’s dropping levels, I swam the 15 mile stretch from Clonmel to Carrick, never previously swum, with the aid of the aforementioned Owen and other local marathon swimmer Conor Power. I was “swambivalent“ about it though. Returning to swims I’d previously missed, I spent a very long afternoon and night driving to and from Kerry Wesht Cork (Bai) to finally swim the Gaddin Abt Garnish (around Garnish Island) 5k. The swim was conceived and run by Sandycove Channel Swimmer Imelda Hughes and Sandycove and Lee Swim PRO Ossi Schmidt, and has a great reputation. It’s held on Ireland’s Riviera, a cove inside Bantry Bay and the 5k is two laps around Garnish Island (which is a national heritage park). The bay provides a lot of shelter and catches the Gulf Stream’s warmest water. So during a warm spell this resulted in stunningly warm water in the high teens. At the start of the 5k, a group of swimmers get away from me but by the end I reeled in and passed all but one. 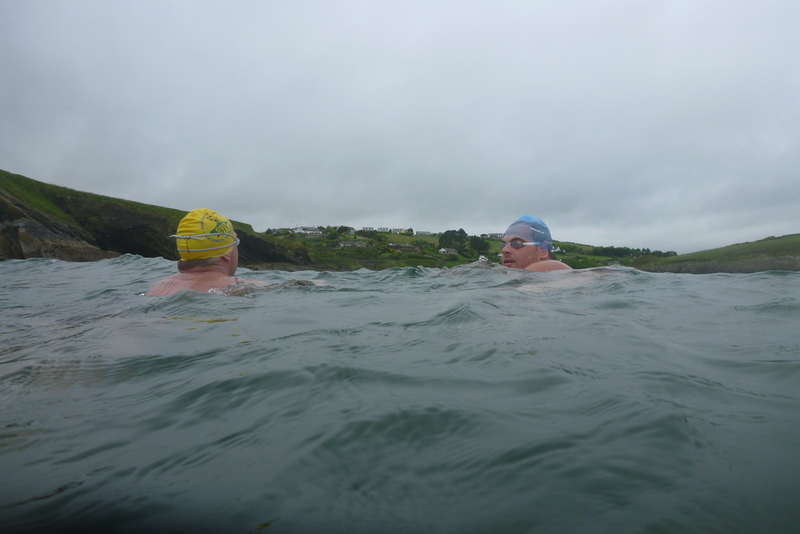 I had a great swim as I was still pool training before turning completely to open water for the summer and I was second out of the water after local Waterford speedster Warren Roche, (last seen on this blog helping me out of the water after that stupid ice Mile swim). In Part II, I’ll round up the latter half of 2014. Absolutely adore this post, Donal. Happy New year to you. Thanks Jean. I’m looking forward to our swim at Gararrus, maybe it’ll make it into next year’s annual review! I’m looking forward to it too. Hope it makes it for all the right reasons!! Fantastic to see how you are mastering the photography. Like myself I can see it has been a wonderful path for you to follow. Happy New Year Donal and here’s to many more adventures! Grudgingly forgiven, but I’m only married to the daughter of a Beara man so I’m easier to get around. Ms. Cashell’s Mammy won’t be baking cakes for you. Ever. Oops, Beara Peninsula. Typing too fast in my bafflement. Donal, Baffled by your description of your trip to Garnish. 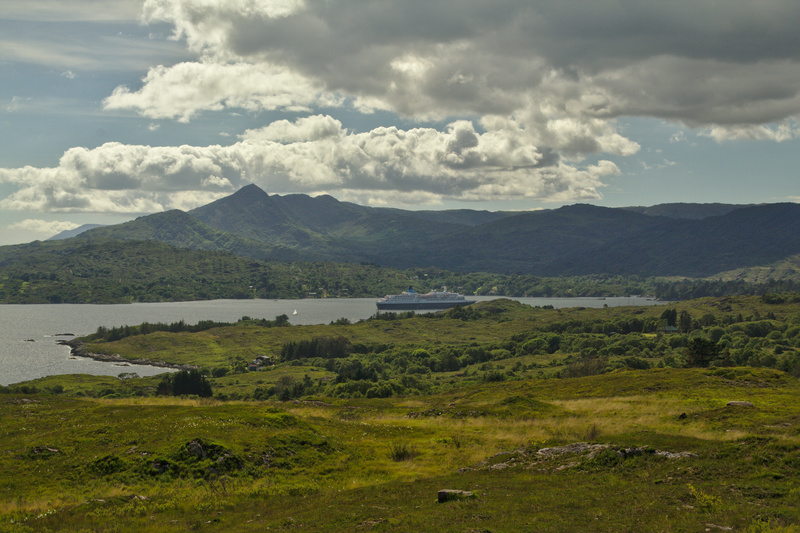 You mention going to Kerry and something about Garnish being in the Kenmare River (Bay). You were in Cork, boy, in Cork. On the Beara Peninusula. In Bantry Bay. Kerry? Kenmare? What are you talking about? I’ve checked and this isn’t your April Fools for 2015 so – again – wha?? Thanks Damien. I do like to say that if any errors occur on Loneswimmer I’ll correct them asap. I can use this as one of those rare examples. I suppose I better get it done before the West/East Kerry hordes show up at my door. Not that anyone else can tell the difference mind you.